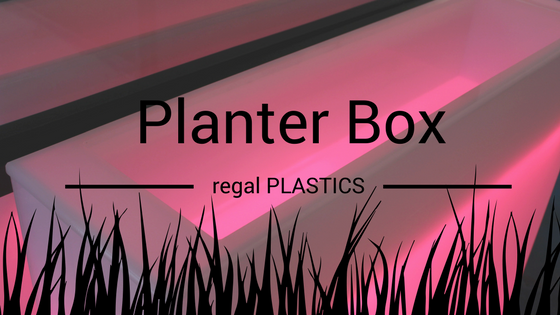 One of fabrication departments most recent creations were LED lit acrylic planter boxes. We are really fortunate at all of our branches to have our warehouse and fabrication department under one roof. Not only does it contribute to shorter lead times for our customers, but it also gives our fabrication department access to a wide variety of materials. We have learned that our team in fab are true craftsmen who love to experiment, be creative, and create. So we give them room and plastic to work their magic. The marketing team approached them saying they wanted to come up with another patio application for our acrylic to show off at trade shows and in our show room and the planter boxes were born. As we were designing the project, there were two primary challenges we faced. We needed to design a box that was easy to clean or switch out plants. Another, was keeping the LED lights dry and illuminating the entire box so each side was evenly lit. Our solution was to design a tray where the plants would be planted. We could easily make this water tight by gluing the acrylic. This tray could be lifted out and moved to another box or cleaned. Also, this would give access to the power supply box and LED lights underneath. 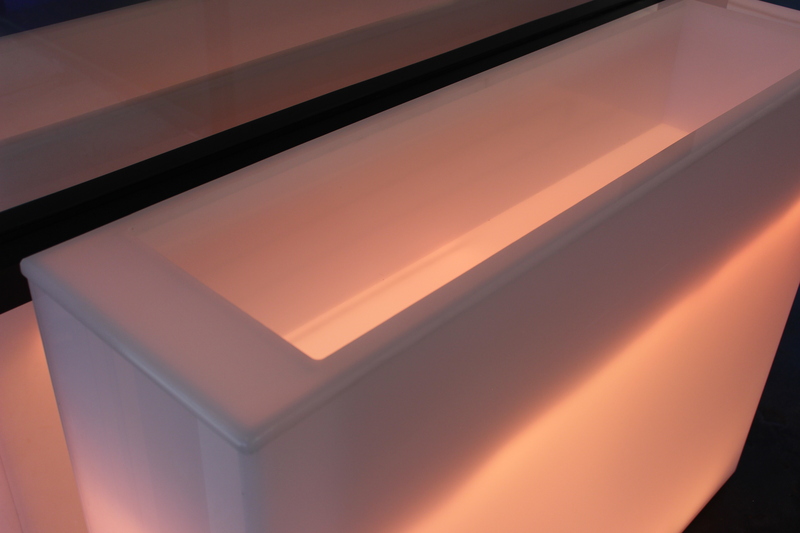 The white acrylic diffused the light, making it easy to place the LED lights within for an even glow. Close up of polished edges. The set in tray creates a seamless design. Planter photographed before adding plants to show tray design. Each planter is custom made to size and material specifications. Pictured is standard 1/4″ white acrylic with colored LED’s. 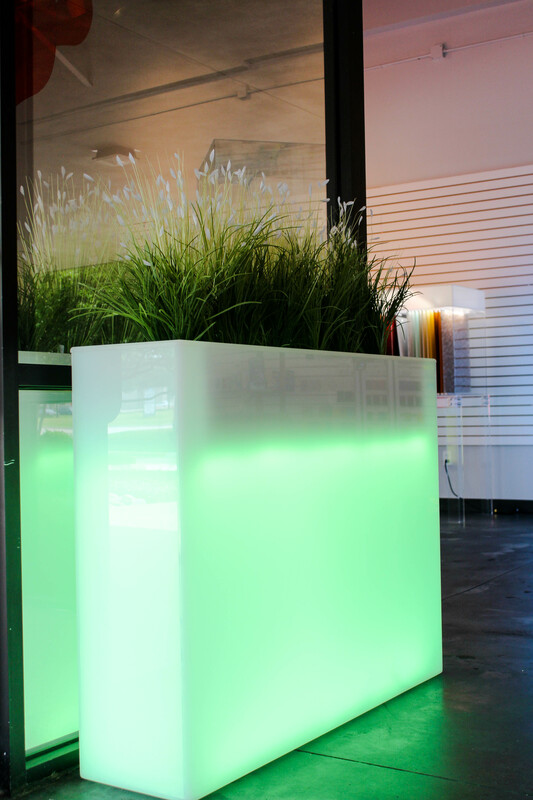 However, planters can be fabricated with different acrylic sheets and lighting colors. 4′ x 3′ planter pictured in the lobby of our Dallas branch. 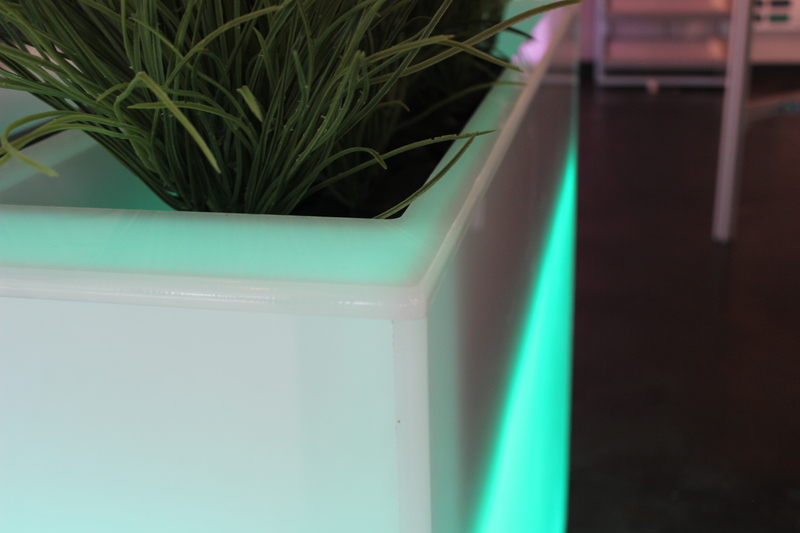 These acrylic planters have received great feedback from both commercial and residential clients. The clean design and custom color capabilities allow the planters to compliment a variety of spaces from private patios to high end lobbies. We like it so much, it is now being incorporated into our interior design in our branches.